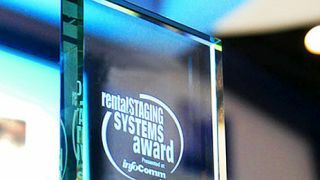 In a ceremony at InfoComm 2016 in Las Vegas Tuesday June 7th, the Winners of the InfoComm Rental & Staging New Product Awards were announced. The program, administered by NewBay Media’s Rental & Staging Systems magazine, recognizes and rewards the manufacturers of new products for the live event and staging market that were introduced since last year’s InfoComm. The categories cover important applications from audio to high-lumen projection to video processing to the increasing use of digital signage for live events. A walk around the InfoComm show floor last week at the Las Vegas Convention Center revealed InfoComm Rental & Staging New Product Award trophies proudly displayed in the booths of winning exhibitors large and small.